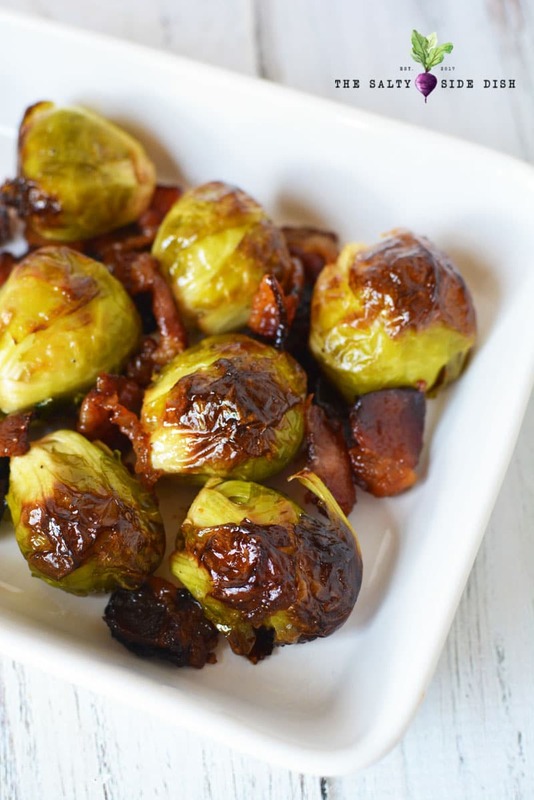 Maple Bacon Brussels Sprouts is the perfect veggie side dish you have been missing your whole life complete with crispy bacon pan roasted in maple glaze drizzle. Its so good that you can dial up an entire bowl for a meal alone! OMIGOSH these are GOOOOOD! Sweet due to the maple. Because it uses maple syrup, you have to really grease a pan, or I recommend adding parchment paper to a pan and then greasing the parchment paper. Sugar tends to be very sticky and burn. I didn’t go this route because I used a baking stone. 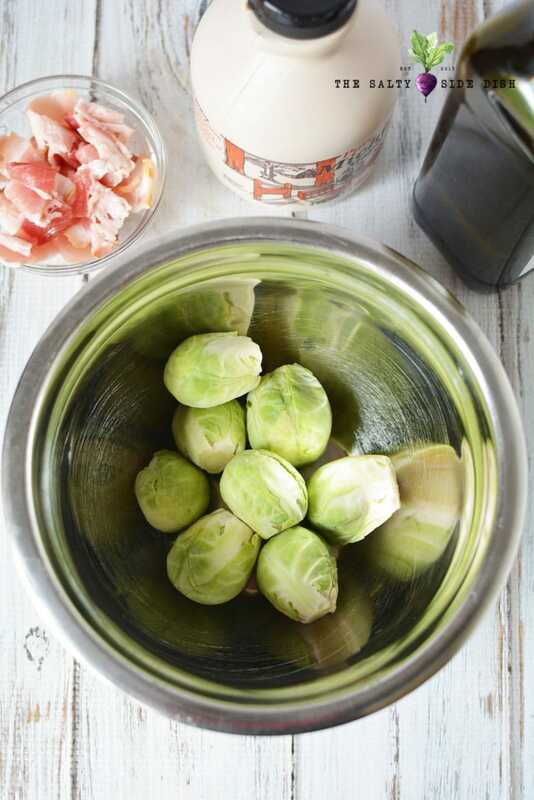 I usually cut the end off of my brussels sprouts and then peel off a few of the dirty leaves before rinsing and adding to my recipe. This is about 5 minutes to mix and then the baking time. Compliments any of these main dish recipes! 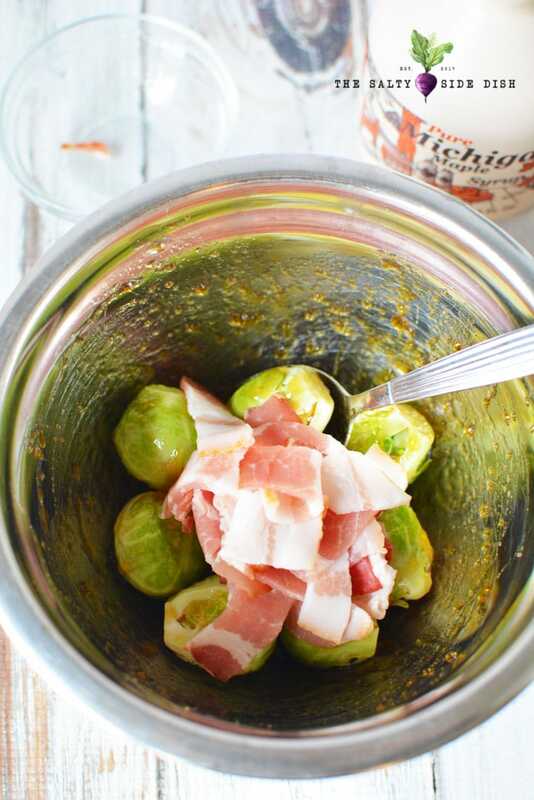 One of my other favorite brussels sprouts recipe is my Buffalo Brussel Sprouts – SOOOOOO GOOD. Preheat oven to 400 and line a baking sheet with parchment paper . Grease the parchment paper generously with baking spray. 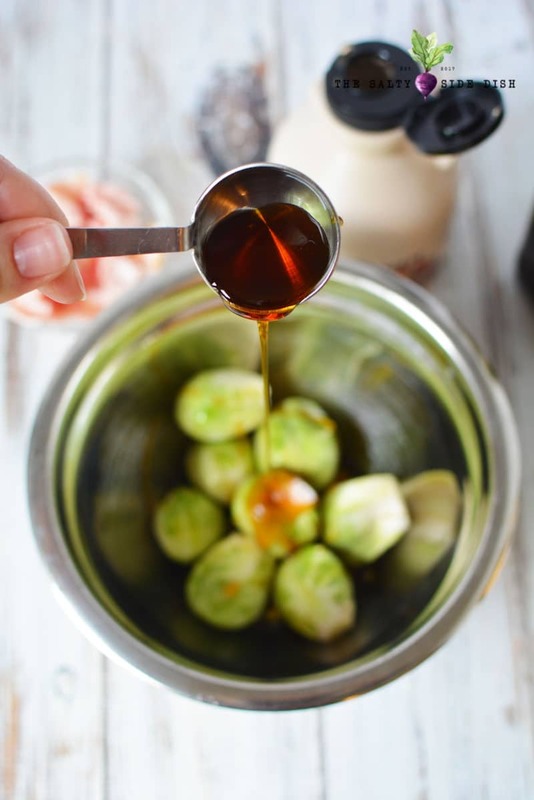 In a mixing bowl, mix together Brussels sprouts, olive oil, and maple syrup. Place onto prepared baking sheet, spreading out bacon so it’s on a single layer. 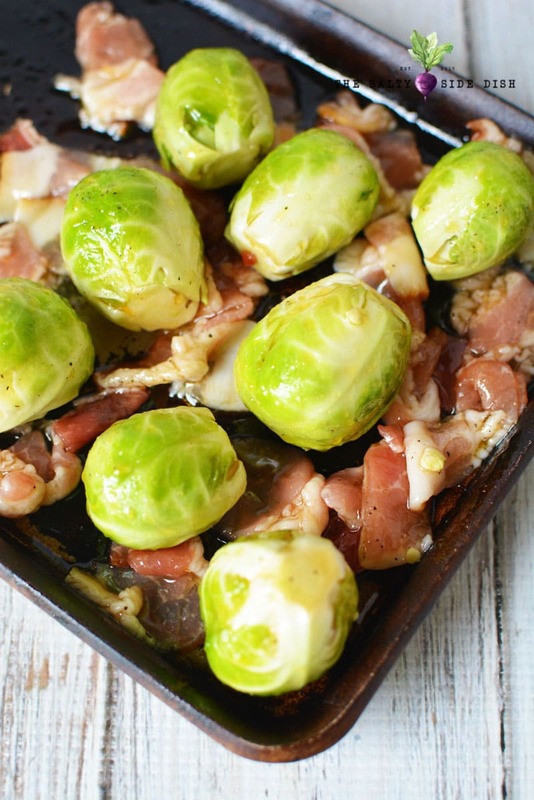 Bake for 30-40 minutes or until bacon is cooked and brussels sprouts are brown. Preheat oven to 400 and line a baking sheet with parchment paper. Grease the parchment paper generously with baking spray. 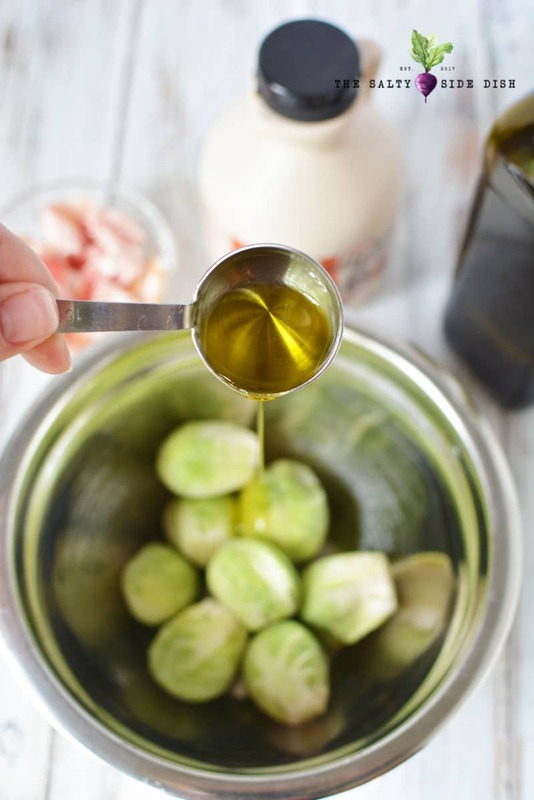 In a mixing bowl, mix together brussels sprouts, olive oil, and maple syrup. Add bacon and mix well. Season with salt and pepper and mix. Place onto prepared baking sheet, spreading out bacon so it's on a single layer. 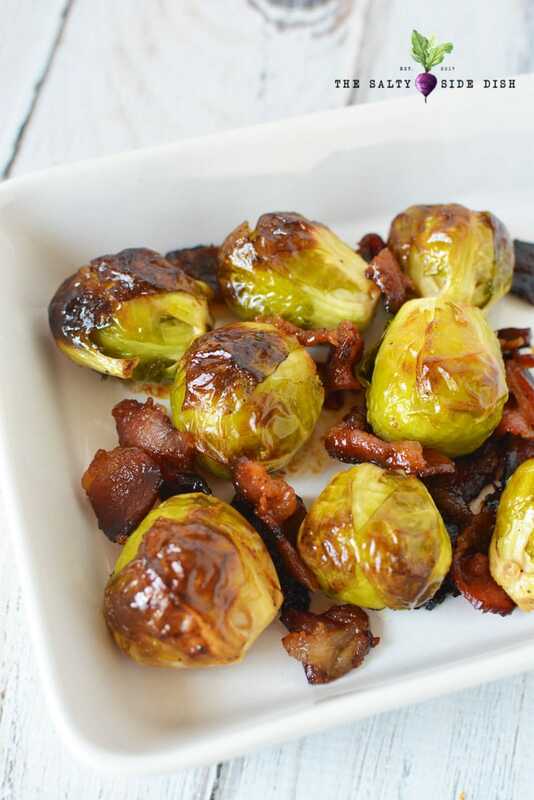 Bake for 30-40 minutes or until bacon is cooked and brussels sprouts are brown.